"Establishing a community of friendship and support where participants can begin a journey of self-discovery through commitment to excellence and the inspiration of joy." Dana’s Dance is located in the heart of Woodland Park, Colorado. Our beautiful facility was established in 2008 and has grown alongside the community. Woodland Park is a great place to raise a family, to feed the heart, to find joy in the simple things, and that is how Dana runs her studio. Beginning with a home studio, Dana soon discovered that there was enough interest in the community for her to open a location downtown. With the support of her family and friends she acquired the Midland Avenue studio. 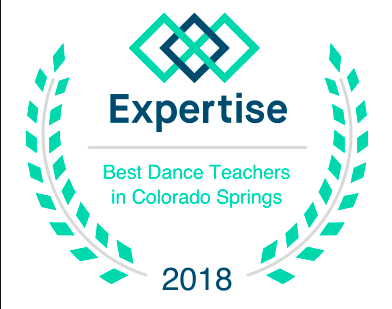 Employing an incredible staff of teachers, Dana’s Dance offers Ballet, Contemporary, Tap, Hip Hop, & Jazz classes and provides performing opportunities throughout the year. Read more about our faculty here. Read about class descriptions here. Since 2008, Dana's Dance has invested in and become an important member in the Woodland Park community. Our dancers can be seen at the annual Kids Fest, Fourth of July Celebration, elementary schools, and various other events throughout the year. Each school year culminates in an end of the year recital held at the Woodland Park High School Auditorium. Dana’s Dance focuses on empowering the individual through the art of dance and sharing their joy with a larger community. We are proud to be an artistic presence in Teller County and serve the families in the Pikes Peak area. Dana's Dance is centrally located in Woodland Park, Colorado. 210. Midland Avenue is convenient to unique local shops as well as grocery & drug stores, restaurants, and family friendly activities. Within walking distance: Memorial Park, Dinosaur Resource Center, Woodland Park Public Library, and the Ute Pass Cultural Center.